Thanks to the Good Practice (more than 300 good practices posted to this day) the network expertise is already available. The host database (more than 1200 places of actual or potential guests) allows to find the host that will give most satisfaction to achieve the objectives that the intern has set before the departure. It is possible to obtain internship awards (see internship scholarships tab). The future intern needs to create his profile and his resume so that the host knows him well. 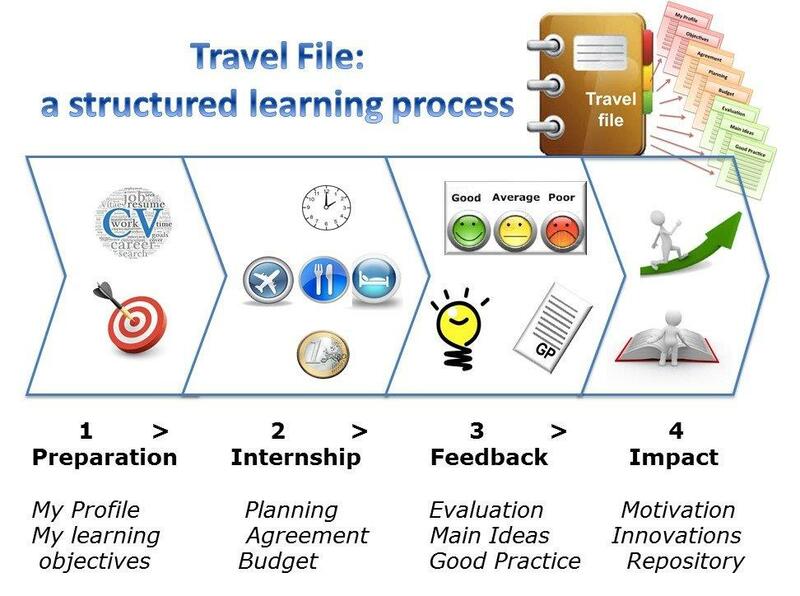 He must state SMART goals: “SMART” (Specific, Measurable, Acceptable, Realistic, Time-bound), organize his travel using tools such as the Planning and the Budget. The agreement signed with the host will avoid any loss of time and setbacks in order to optimize the time of the internship. Thanks to the feedback and assessment tools, the intern will identify a few strong ideas which would be directly useful in his work and will allow his team to realize the importance of the learning and skills. If the intern and his team have progressed or implemented an innovation, they can bring it to Ecett that will interview them and publish this innovation. It is about the acquisition of competencies such as autonomy, independence, interest to learn, importance of good communication, sense of responsibility & organization, maturity, professionalism, rigor and a better judgment and discernment. The internship evaluations by trainees and their employers show that 87% of the objectives have been met and that these exchanges have a concrete impact on how to think, talk and work after the return of internship. ♦ Good Practices by creating his own Good Practice observed during the internship. ♦ Host Institutions if he has discovered a new host, by creating a new ‘host ‘ card. The method reveals here all its power since it supports the learning of actors in the field … by these same actors in the field!